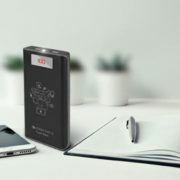 To expand wireless power bank range, the UBON, India’s consumer electronics has announced a wireless power bank-PB 8015. 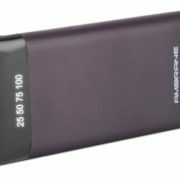 The price of the power bank set at Rs 2,999. And it available at the company’s website along with all leading stores and e-commerce websites across India. 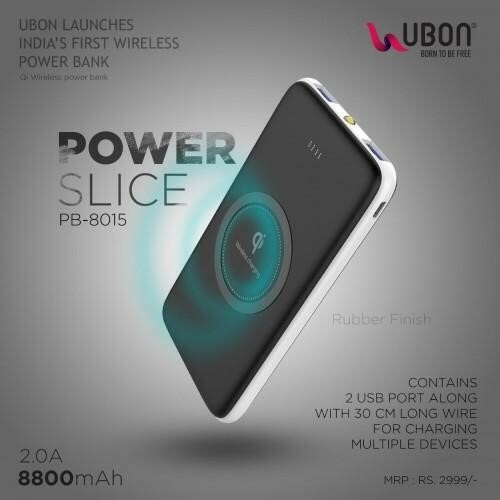 UBON PB 8015, wireless power bank features 8800mAh battery. 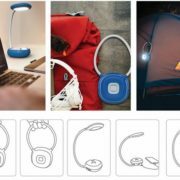 To disperse the power out of it, the company has given dual USB ports along with a long cable of 30 cm wire to facilitate the users for charging multiple devices. 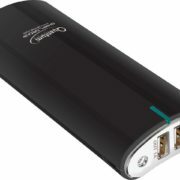 Furthermore, the power bank also comes with one touch switch to easily power on and off it. To know about the capacity of the power bank the display has embedded that also shows the wireless charging status. The power bank is compliant with the QI enabled devices and comes with a 1-year warranty from 700 service centres across India.